Celebrations are held in seven different villages for a whole week up till the 15th of August. During this week band marches cheer the streets which end every night in the village's square where the utmost celebrations are reached. 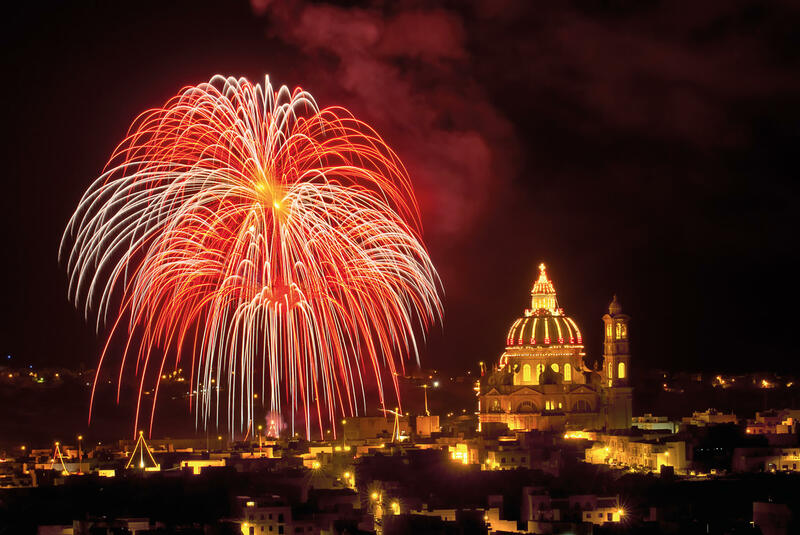 The feast is celebrated in 7 towns around the islands of Malta and Gozo and festivities usually occur between the 13th and 17th of August. 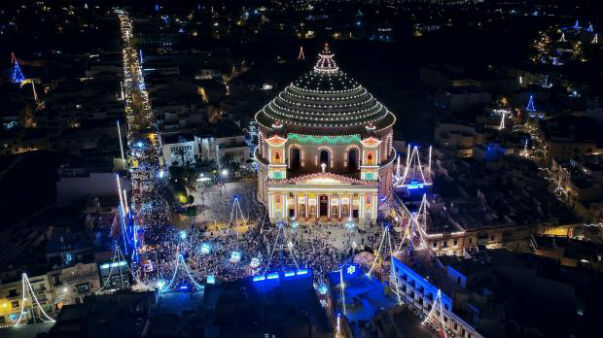 You can experience these unique events in one or more of the following towns: Ghaxaq, Gudja, Mosta, Mqabba, Qrendi, and Attard in Malta, and Victoria in Gozo. Throughout the years the Saint Mary fireworks factory within the same society proved to be innovative with different aspects of fireworks and one of the most popular around the island, in fact, a lot of people and tourists visit this village on the 14th of August for spectacular fireworks show synchronised with music, which afterwards leads to a show of ground mechanical fireworks. On the day of the Statue of the Virgin Mary is taken round these village streets in a procession accompanied by brass bands, multi-coloured fireworks and the peeling of church bells and cheers from the crowds. It is also a tradition on this day, which is also a Public Holiday, for many Maltese to go and celebrate on the island of Gozo for a couple of days.